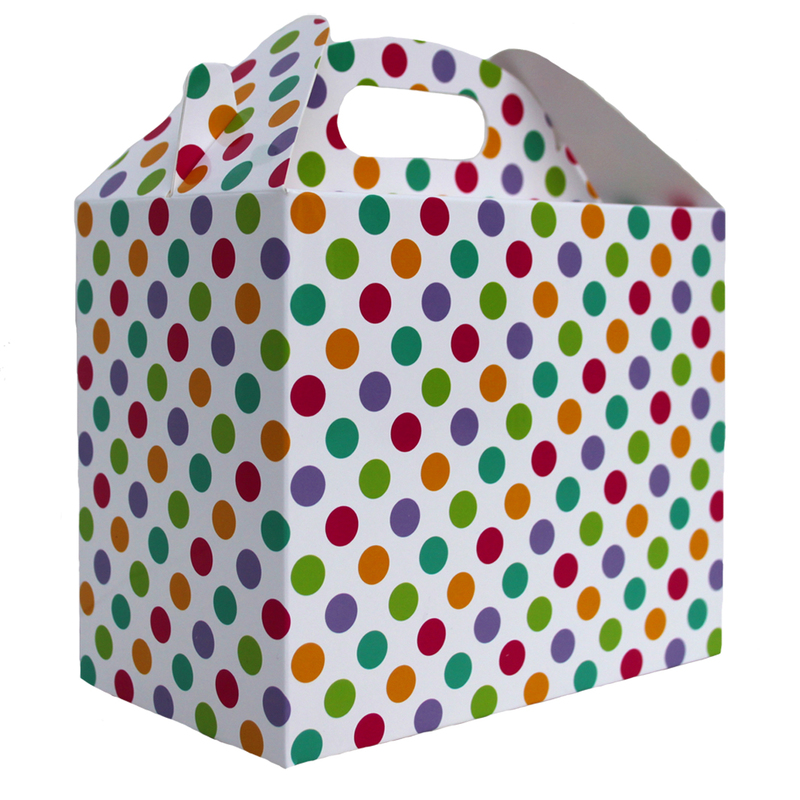 This cute gift hamper tray has a white background with multi coloured spots scattered all over making it perfect for gift hampers, storage and shop display all year round. Made from sturdy printed cardboard with a tapered shape to stack easily, these are a cost effective packaging option. Measurements are 35 x 24 x 8cm high and can fit 2 standard wine bottles laying down.